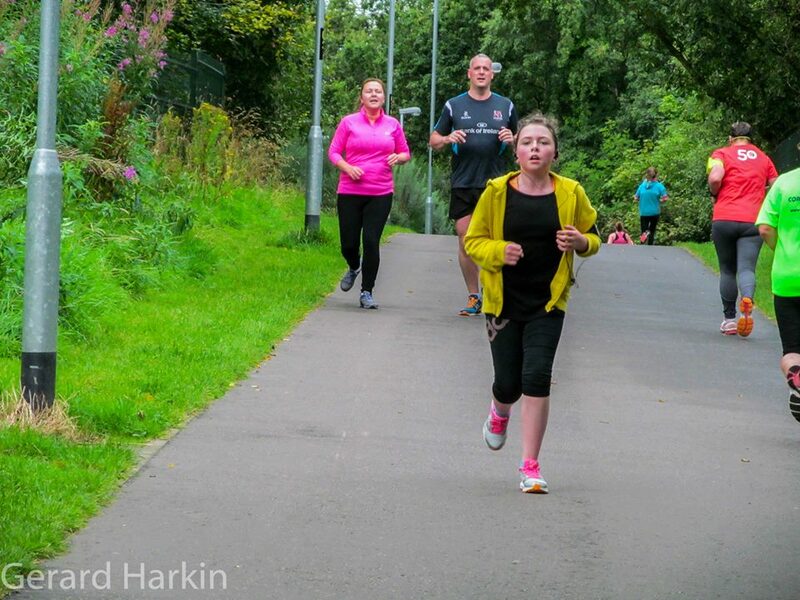 While working my way around NI doing all the parkruns, some have been easier to get to than others. Living in Lisburn, I’m handy to the motorway, and so any of those in the Greater Belfast area are easily manageable. 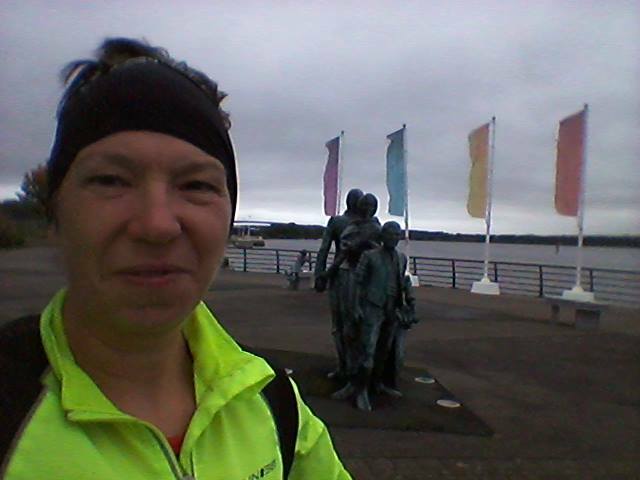 The final one on my list was my home town of Derry, and I got to run it at the end of a fabulous week which had included dancing in the Lyric theatre and walking the Gobbins path. So it truly was “legenderry”, to use one of the many names that this city calls itself. I’d stayed the night before with my parents in Portstewart. There had been a band of heavy rain passing during the night, and it was still drizzly as I made my way over the River Bann and past Springwell forest. The view was certainly dramatic, with low grey cloud sitting on Binevenagh, but it seemed to be brightening to the West, with patches of blue sky. I have a special affection for bridges, and I always smile as I cross the new Foyle Bridge, a glorious high arch over the gently flowing river on its way to sea. 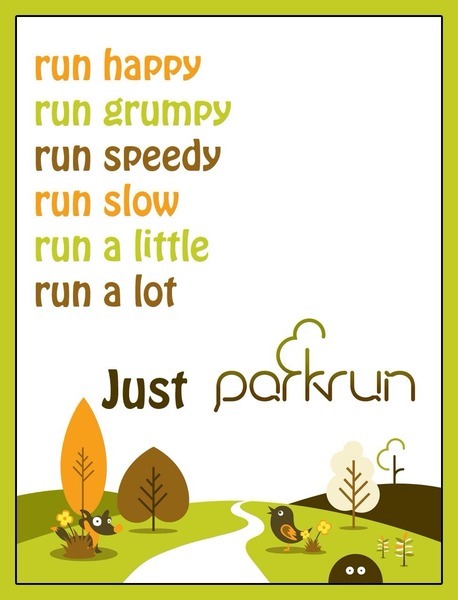 This morning that smile was a gleeful giggle, in the knowledge that I’d soon be completing the set of NI parkruns (at time of writing…..). I parked at Sainsburys (my Mum had been most impressed last night when I talked to my phone and said “OK Google, how do I get to Sainsbury’s Londonderry” and it produced a map and estimated travel time!) There’s plenty of space, and I was able to use the loos, and afterwards got a takeaway tea in the cafe. 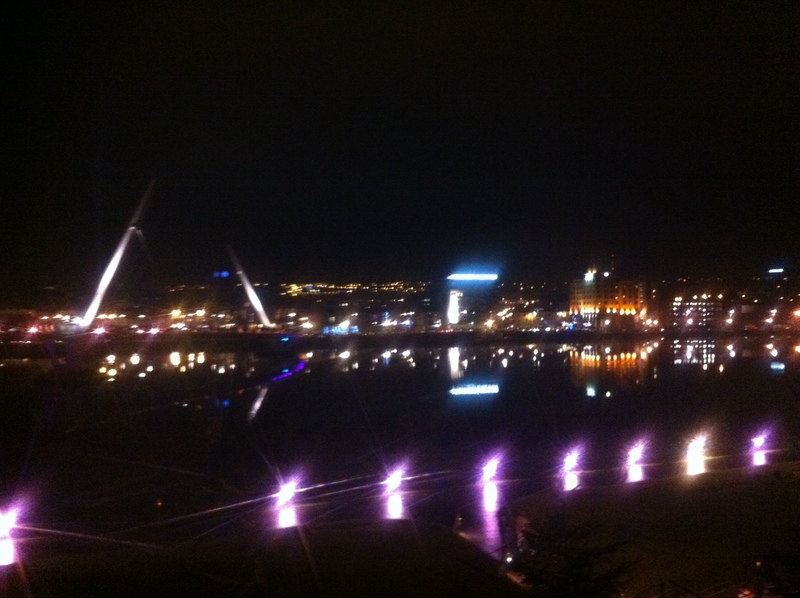 Ach, sure Derry wans are lovely so they are! 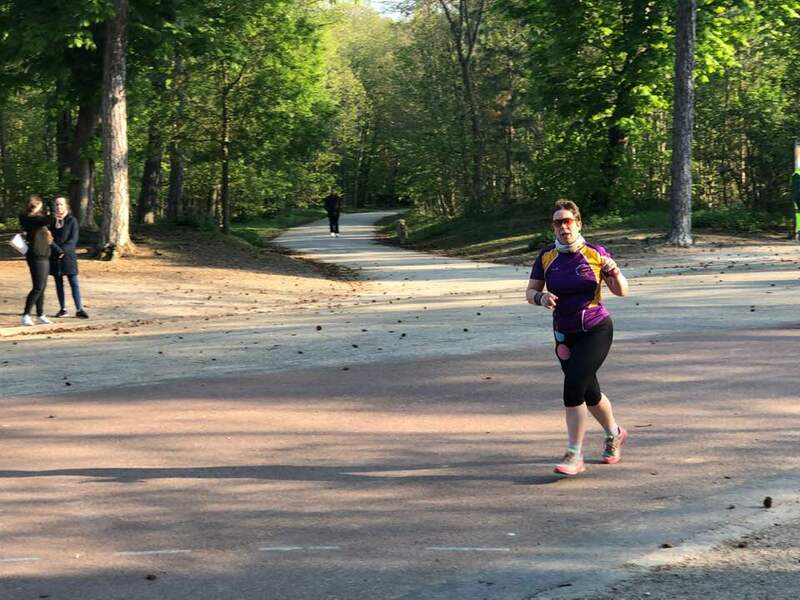 I’d sent a Facebook message that I was visiting this week, and was very warmly welcomed by the run director and volunteers, and my fellow runners were all really friendly and chatty. My new-style 50 T shirt was much admired – they’re still a rare sight! The course starts by the marina, and follows a U-shaped out-and-back course. It goes along the quayside, across the Peace Bridge (another favourite structure of mine) curls around underneath it and up a slow climb to a turning point before the return leg. The surface is all excellent for running on, and the paths are wide enough that when runners are going in 2 directions it isn’t a problem. The main issue is the wind – being by the river acts as a funnel, so that the wind is either at your back, or you’re running into it. Or, on the bridge, it’s the crosswind you have to battle. I was rushing away afterwards as I had a lunch date in Belfast, so I’m not sure whether people hang around and go for coffee or not. I jogged back to Sainsbos with a few others, and got some post-run replenishment there. Having been walking the Gobbins path on Islandmagee, way on the East coast yesterday, to running on the Western border today, I grinned when the opening of Flying Elvis began “From East to West and coast to coast”. I’d been at 14.55 at the turn point, so I knew I was going to have to dig deep for a sub-30, and the chorus of “Don’t give up..” spurred me on to a sprint finish. I’d forgotten to pack my phone charger, so my phone was really struggling! I didn’t know if my customary “Where’s Wally?” selfie had actually posted to Facebook (it later transpired that I’d I posted it 4 times), and I didn’t have much battery power left to take many pictures. Thankfully, those Derry wans are wile handy with a camera, so they are, and I was able to grab some great pictures that they shared. Without Minnie, and in the wind, I was happy with a sub-30, and a strong finish line sprint allowed me to record 29:06, which is one of my best non-canine assisted times. I know I’ll be back to this one, so hopefully I can knock off a second or 2 next time! 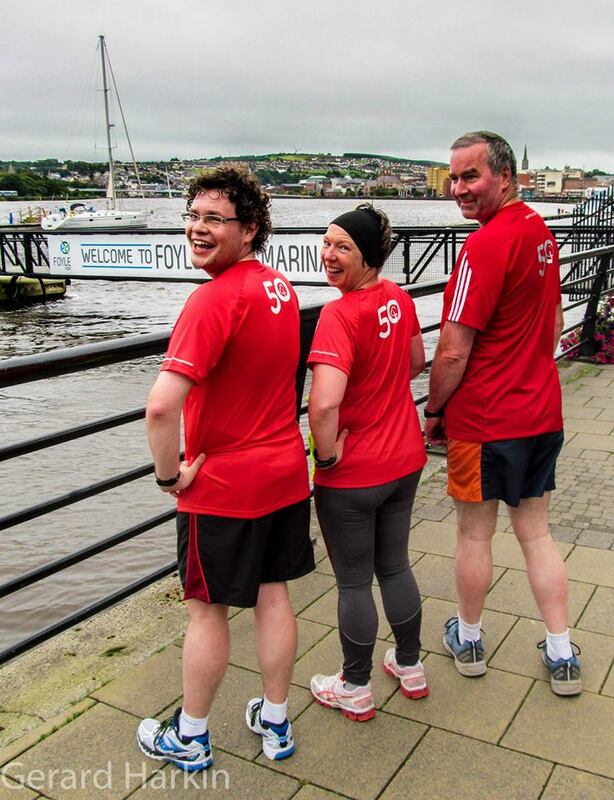 A number of people had asked me if I was the first person to run all the NI runs, and I didn’t know! On my journey home it struck me that if I went through the results pages of the newest run, Stormont, and had a look at anyone who’d done more than 21 runs, I could see which locations and events they’d done. It took me a while to check, and there are a LOT of runners who are pretty close. But only 3 names had all the 21 NI runs. And they were all male. So I have great delight in declaring myself the first female member of the “I’verunalltheparkrunsinnornirnsoIhave” club. We really need a badge, or T shirt, or membership of a special club with free champagne and chocolates, or something.